I wanted to try BERNINA’s Needle Punch Accessory, but I’m truly not a daisies and vines person. I was looking for a way to make needle punch texture work for me…something simple with interest. 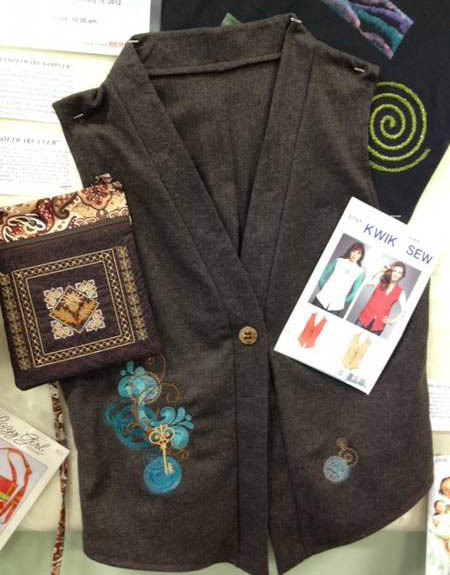 The vest was a very easy Kwik Sew pattern (Kwik Serge 3791). It was made from a lightweight wool fabric that we have at Sew Generously. Again, the vest didn’t really lend itself to anything floral or dainty. It worked out really well to combine needle punch with an already-digitized design. With the needle punch tool and stitch plate on the machine, I “embroidered,” (punched) the background circles for color. For more punching on the roving, I just ran the “thread color” again, and the machine punched another round. Then I switched back to embroidery, and finished up the design. Bonus: The backside of the embroidered needle punch looks awesome! Carol, this turned out so cool! 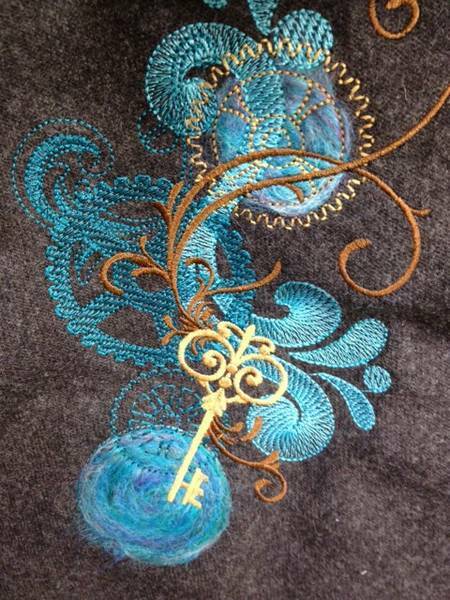 I love the needle punching combined with the embroidery–definitely need to try that.